Signal problem: Traffic | Type of problem: Indicator Facing Wrong Direction | Details: Signal light can not be seen. It's pointed down at the ground . 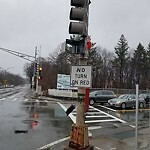 Signal problem: Traffic | Type of problem: Other | Pole knockdown: Yes | Details: BPD is reporting that a traffic light pole has been knock down due to a MVA. I notified Dagle electric. 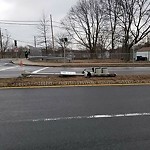 Type of problem: Other | Pole knockdown: Yes | Details: BFD reporting traffic signal knocked down. Notified Dagle 1:39 AM.